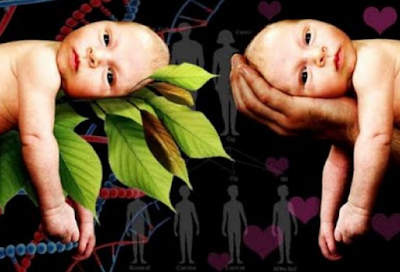 “Like father, like son”: Testing folk beliefs about heredity in the arena of assisted reproduction. “The apple doesn’t fall far from the tree”. “Chip off the old block”. “Cut from the same cloth”. “Black cat, black kitten”. “Chickens don’t make ducks”. “He didn’t lick it off the stones”. “It’s not from the wind she got it”. “She comes by it honestly”. Every culture seems to have its own phrases describing the power of heredity – not just for physical traits, but also for behavioural ones. (Those last three are peculiar to Ireland, I think). This folk wisdom, accumulated from centuries of observation of human behaviour, seems to reflect a widespread belief that genetic effects on behaviour and personality are strong, indeed dominant over effects of upbringing.